Britain’s McDonald’s is combining its menu with a very English topic of conversation: the weather. 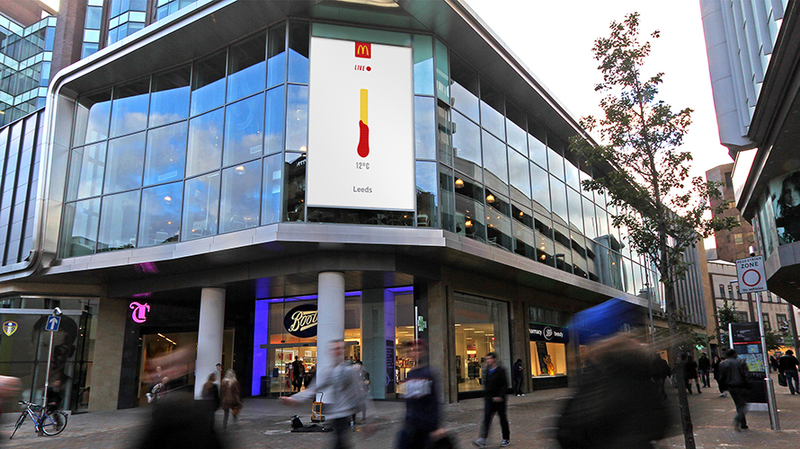 Through a digital and outdoor campaign that launched April 26, the fast food company is sharing people live weather updates, using data from the MET Office. Menu items have been turned into eight different weather icons to represent the current temperature and five-day forecast. The images include an unwrapped burger to represent sun and an upturned box of fries to signify rain. “We are very excited to be using some of our most loved products to join in the very topical April weather conversation,” said Hannah Pain, Senior Brand Manager at McDonald’s, in a press release.